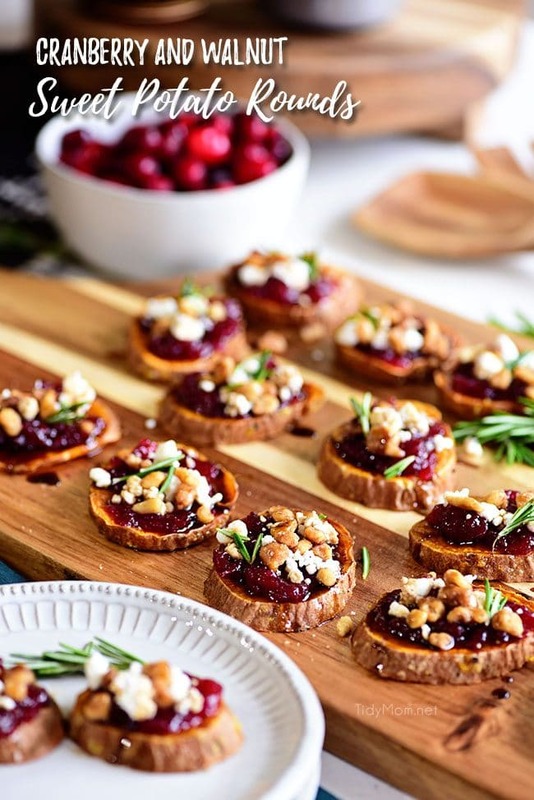 Make room for roasted Cranberry Walnut Sweet Potato Rounds on your table this holiday! This appetizer has all the flavors of Thanksgiving in one tasty bite. We love all things Thanksgiving, like Sweet Potato Casserole and my Legendary Layered Walnut Pumpkin Pie. Serve these sweet potatoes as an appetizer or side dish -They’re highly addicting and full of holiday flavor! Fall is in full force here now we just need the weather to cooperate. This month I’m teaming up again with some incredibly talented blogger friends for another addition in the Tastes of the Season Holiday Recipe series. Each month through the end of the year, there will be seasonally inspired recipes you won’t want to miss! This month, we’re gearing up for Thanksgiving with a part of the meal everyone loves — FALL APPETIZERS. I’ll be linking up all 20 delicious recipes at the end of this post. Be sure to visit each one for even more fall inspired appetizers. Get ready to ditch those boring old crostini bread appetizers, and make room for the best new trend since sliced bread! 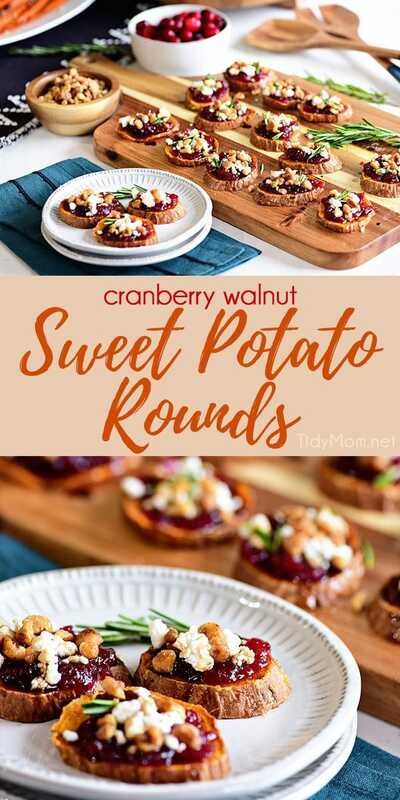 Yes, today we are talking all things Roasted Sweet Potato Rounds with this amazing Cranberry Walnut Sweet Potato Rounds Recipe! Traditional favorites are great but don’t be afraid to spice things up with new recipes. The Thanksgiving appetizer table isn’t going to know what hit it when you show up with this incredibly festive and delicious dish. So, get ready to have all your friends and family asking for the recipe because it’s going to be one no one wants to forget. What Makes The Perfect Thanksgiving Appetizer? Keep it Simple, Yet Flavorful: When cooking for a crowd, it’s best to stick to some of the basics because a lot of adventurous combos are going to intimidate people leading them to other options in the spread. If you want an appetizer that will fly off the platter keep the ingredients simple and pack it full of amazing flavor. 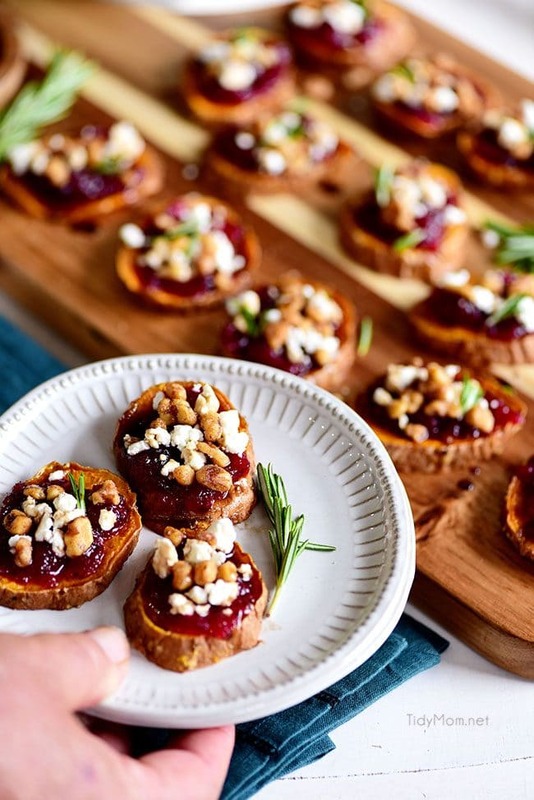 For this recipe, I kept it simple with roasted sweet potato rounds because sweet potatoes are a classic Thanksgiving staple, but then I packed in the flavor with fun, unthreatening toppings! Other great simple apps include my Turkey Cranberry Toppers, Easy and Elegant Meat and Cheese Board, and Garlic Chicken Puffs. Try Making It Somewhat Healthy: Thanksgiving can be a time where diets no longer exist, but that can be a very slippery slope when all the dishes are super calorie dense. So, I like to keep my appetizer dishes a little more health conscious, so I can save all my calories for the main event! Sweet potatoes are a way healthier option than using any type of bread, and it still tastes amazing! 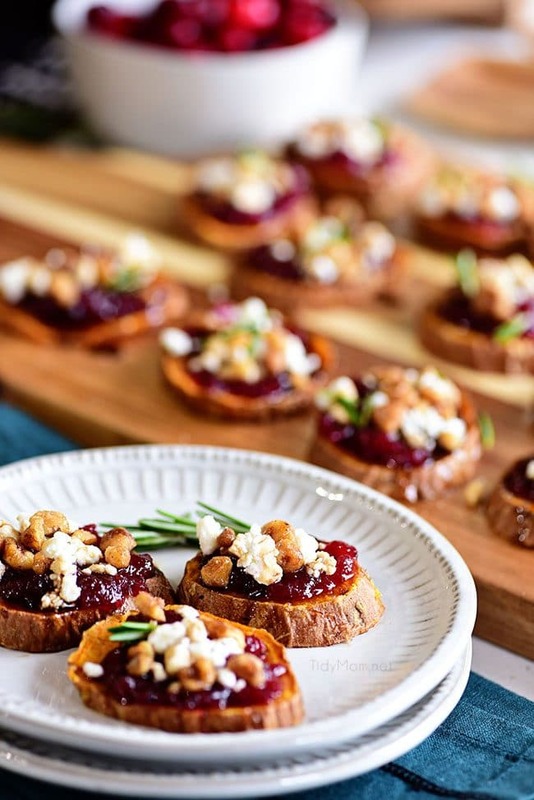 If you’re not a sweet potato fan, then you have to check out these Dried Apricot and Blue Cheese Canapes, they are the same concept as the sweet potato rounds, with a dried apricot as the base. Wow Them With Presentation: We all know that some tastiest foods are not always the prettiest, like this Black Bean Soup for example. But when set on a table full of competition, the ugly duckling might be chosen last, so it’s worth it to take the few extra minutes to make your dish look food network worthy. You can do this by trying to keep all of your rounds the same size, precisely spreading the cranberry relish, and carefully sprinkling the cheese and nuts on top. There are many different ways to roast sweet potatoes, none of them necessarily being the wrong way, but we all have our different preferences right? After a few trial and error attempts here’s the method I loved the most. First, look for long, slim sweet potatoes. Cut your unpeeled sweet potatoes in 1/2-inch slices. Combine olive oil, orange zest, salt, and pepper and add the sweet potato rounds to the bowl and toss until coated. Place rounds on a large rimmed baking sheet without touching each other. You’ll then roast the sweet potato slices in a 425° F oven. Remove the pan from the oven halfway through and carefully flipping the rounds over using a spatula. Return to the oven and continue roasting until they are golden. The best part about this dish is that it’s so versatile, it can go with almost anything. My favorite way to serve it is garnished with a little rosemary and laid out on a cute little rustic platter. It makes for the cutest little setting on the table, and looks so pretty! 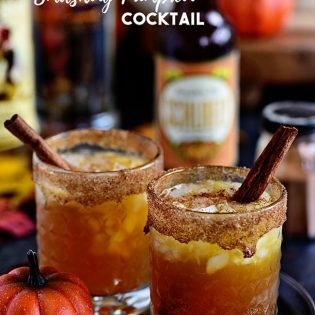 Of course, no appetizer is complete without a good drink to accompany it, so lately I’ve been serving it up with my favorite Caramel Apple Moscow Mule, but once the temps get a little colder, it will pair perfectly with this amazing German Mulled Wine for the perfect cozy holiday combination! 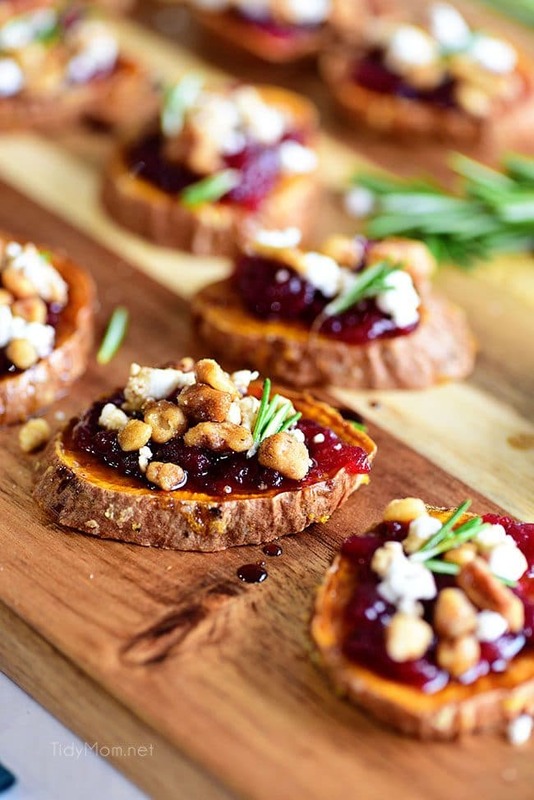 Like This Cranberry Walnut Sweet Potato Rounds Recipe? Pin It! Sweet potatoes are a must for Thanksgiving! 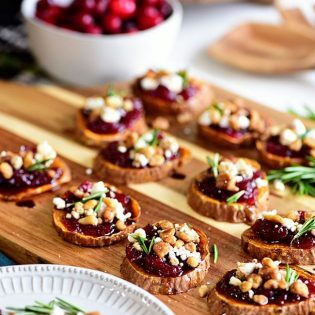 It’s fun to jazz it up a bit and serve them something unexpected, like these Cranberry Walnut Sweet Potato Rounds. 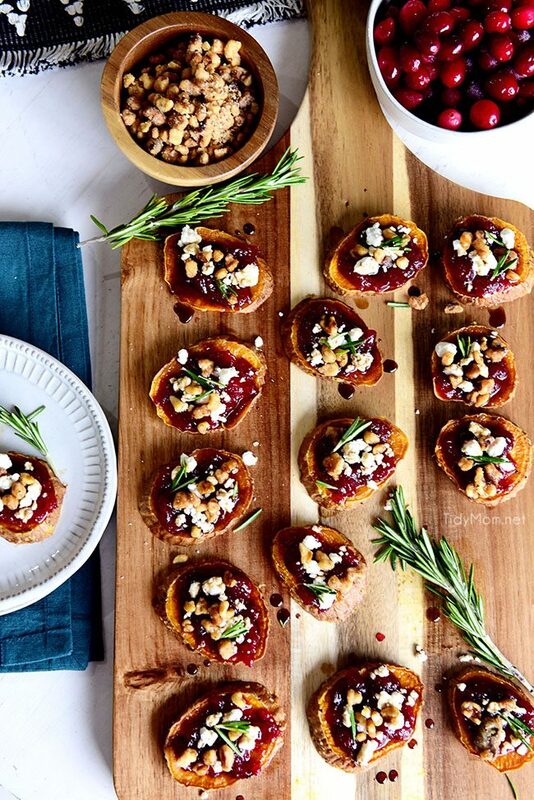 These Roasted Sweet Potato Bites are going to be the perfect addition to your Thanksgiving table. They’re the ideal mix of traditional and new, so give them a try this holiday. In a medium-sized bowl combine olive oil, orange zest and salt and pepper. Add sweet potato rounds to the bowl and toss to coat. Place rounds on a large rimmed baking sheet without touching each other. Roast sweet potato slices for 10 minutes. Remove the pan from the oven and carefully flip the rounds over using a spatula. Return to the oven and continue roasting for an additional 10 minutes until they are golden. 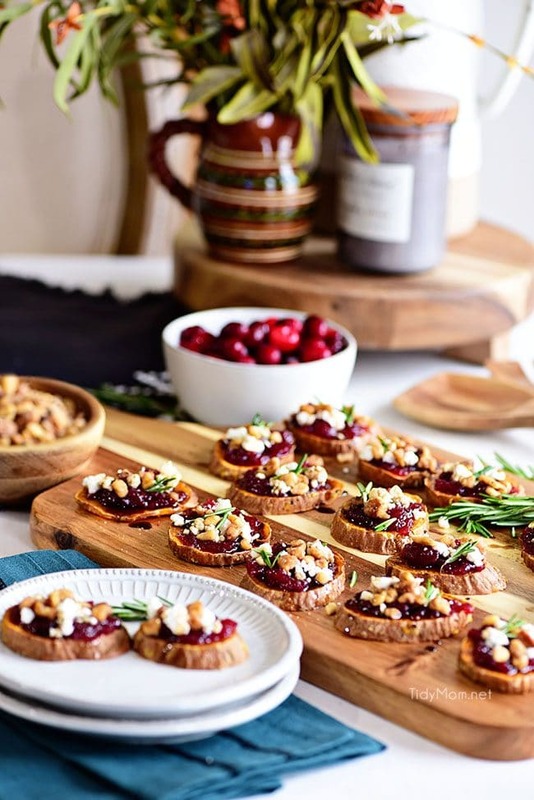 Transfer to a serving platter and top each round with cranberry relish, goat cheese, and walnuts. Combine the honey and balsamic vinegar in a small bowl. Using a spoon, drizzle honey vinegar over the tops of the rounds and garnish with fresh rosemary. Serve immediately. For more amazing fall appetizers be sure to visit my blogger friends below. I love your site! You always have the best dishes for the family! Thank you very much for your work! And for my inspiration in the kitchen! Wow, these are so pretty! They would make a perfect Thanksgiving appetizer or side dish. Such a fun way to serve sweet potatoes! These are the perfect holiday appetizer! I love sweet potatoes, but have never had them like this! LOVE this idea! I am loving all of the fall flavors too! I love this sweet and savory healthier app for fall! SOOO GOOD!! I love sweet potatoes – thank you!! I’m so making these! Looks incredible Cheryl! 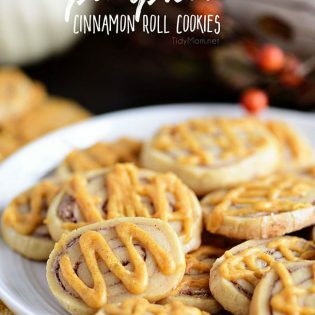 Perfect for fall and Thanksgiving! Love the color, too. Cheryl! These are amazing! Beautiful and I’m sure delicious! I can’t wait to try them!! My favourite combination ! Printing !